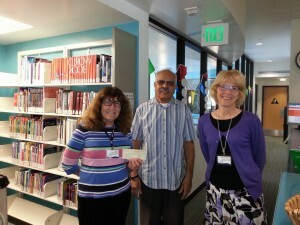 Redwood recently made a cash donation to the Carlsbad, CA Library Literacy Services. This donation supplements Managing Partner Dr. Bhima Vijayendran’s ongoing volunteer contributions. The mission of Carlsbad Library Literacy Services since its inception 30 years ago has been to provide free, multi-dimensional learning experiences appropriate for each person’s needs in basic reading, writing, math, science, general knowledge, critical thinking and applied literacy skills in an environment that is both professional and nurturing. The program is staffed with volunteers who are interested in and committed to helping the mission. Here is a link to the Literacy Services’ monthly newsletter. Bhima has been a volunteer for the last two years spending two 90 minute sessions per week with adult and young learners.